You learn something new everyday! I recently went to apply for my SSS ID coz I lost mine. Probably left it in one of the guard houses in one of the villages. It was like more than a decade ago so I can’t remember where exactly. Well, it was time to change my SSS ID anyway to put my married name. I decided to go to the SSS office on Shaw Blvd. 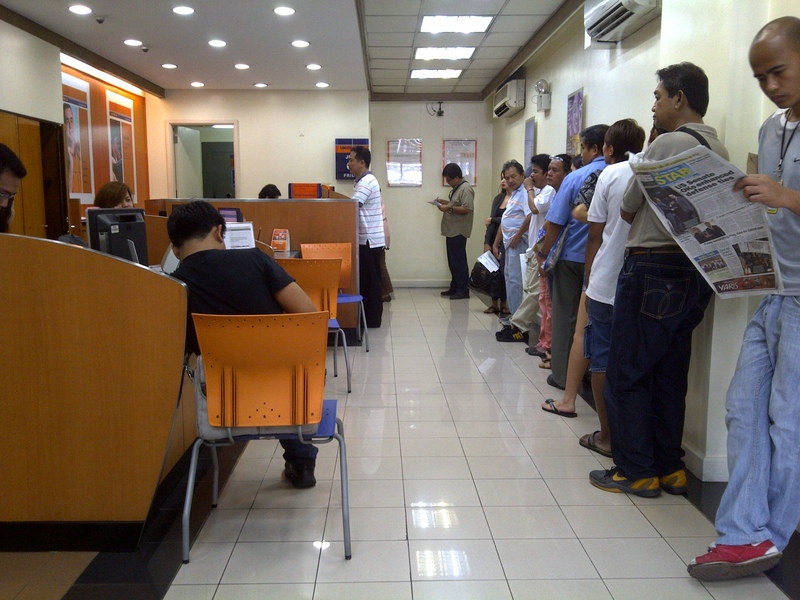 at the corner of Meralco Avenue coz I felt it would have less people than their main office in Quezon City. True enough, it did. But that’s not what I was happy about. There was a PRIORITY LANE for preggos! Yipee for me! Talk about right timing. As I entered the building, there was already a long line (around 100 ppl) for step 1 (They check your papers/documents/application form and encoded data in the computer.) Good thing I din’t have to line up. Went straight to the 2nd table seen above (where the girl in pink stripes is sitting) which was the priority lane (senior citizens, pregnant women, & people with disability). Office hours: 8am-5pm. The entire process would just take less than 15 minutes. They’ll check your papers, then take your picture and you’re out of there. They’ll give you a stub to serve as your temporary ID for any SSS transaction you may have while waiting for your ID Card in the mail (normally takes 6 mos-1 year). But of course, I wasn’t that LUCKY. I had to make a payment of P350 (SSS ID replacement fee. But if its your first time to apply for an ID,it’s free.) at Union Bank next door. That’s where I wasted time. It’s like that bank had their own slow motion world. Seriously, they were just moving tooooo slow! It took tellers forever for each transaction!!! Productivity was way below average. For this line, it took more than an hour for my turn. Not to mention, there were 2 tellers! Frustrating!!! After paying, I went back to the priority lane…but of course, it was 1230pm already and the girl handling the priority lane took her lunch break with no one taking her place. Waited again for 30 minutes just sitting down in front of the table. I couldn’t take it anymore, so I go to the other customer service lanes and requested them to handle my documents next since I was supposedly in the “priority” lane. It defeated the purpose to be priority if we weren’t assisted on time right?! Thank God, they got the deposit slip and processed my papers right away. Next step for me was picture taking. Was done in 2 minutes. Got my stub. And done! Good thing: I was finally done with SSS ID application. Bad thing: It took me 2 hours to finish something that was supposedly just 15 minutes! So if you’re gonna apply for a 2nd SSS ID at Shaw Blvd., have someone line up at Union Bank already while you’re doing Step 1 in SSS. So just a tip: If you’re pregnant and need to have some stuff done in government offices, take advantage of the priority lane! I experienced that in DFA when applying for a passport for Lexi before. Infants are part of the priority/courtesy lane. You skip all the long lines coz you have an infant with you. Mommy Duties – Do your “homework”. 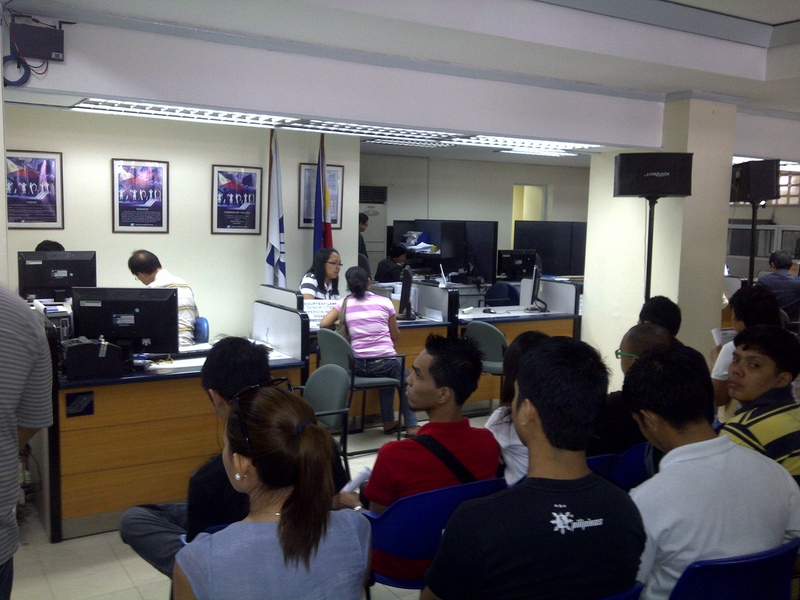 the stub that present as temporary id is acceptable in dfa when applying passport? Oh sorry, I’m not sure about that. Best to call the DFA hotline. how much is the payment for getting sss id for first timer?? please advice.. Sorry I don’t have the exact amount but if you go to the SSS website all fees are there. I know it was just something like 200-300Php if I remember correctly.